Workforce 4.0 is shaped by digitization and the role of HR is evolving rapidly. Here are some trends that will be explored at TechHR Singapore conference on Feb. 28, 2019 at Marina Bay Sands. Digitization is changing the workforce at a rapid pace. Workforce 4.0 now is not only about adopting new job roles but also about understanding how work is changing in the context of more digital technology penetrating into the workplace. The traditional constructs of productivity no longer apply to companies and individuals. Thus, the demands on the HR function are also evolving rapidly. Here are a few trends that HR leaders can observe and proactively get ahead of the curve going forward into 2019. The year 2019 will be crucial in furthering ‘the future of jobs’ vision and bringing businesses and educators together to train the workforce in skills needed to succeed in a digital economy, according to a report released by Cognizant titled 21 More Jobs of The Future – A guide to preparing for the jobs of the future in 2019. For example, in the mining industry, the advent of digital technologies has created a demand for workers who can easily integrate technology into their daily work. No more is the mining industry only associated with manual labor and long hours of operating in dangerous health conditions. Autonomous equipment and operations are reducing the need for human hands to operate in historically fatal and unhealthy mining environments. Thus, digitization is resulting in the improvement of workers’ safety. At the same time, the current miners who are experts at manual labor are seeing a pressing need to upskill themselves in order to stay relevant. Companies can start creating focused initiatives that help the existing workforce to reskill and mold their skillset to fit the evolving demands of a digital and tech-focused workplace, according to a research report by Cisco. Business processes have transformed majorly in the manufacturing, logistics and healthcare sectors as well. Factory floors have seen an enhancement in speed and quality of production because of increased automation. Moreover, business operations have improved in industrial plants as well. The logistics industry is also a traditionally manual-labor focused sector which is now equipped with technology that enables people to track their packages in real time thus improving the efficacy of their work. The lines between physical and digital worlds are blurring and the whole concept of work has changed. It is precisely why the HR professionals operating in these sectors also need to start developing new skills. An aging workforce is a major trend that is shaping the workforce across various countries. A combination of four different generations spanning from the baby boomers, Gen X, millennials and now the GenZs in the workplace is making the workplace an even more dynamic environment than it has ever been. A multigenerational workforce brings with it its own set of challenges and opportunities. For countries like Japan, an aging workforce is a major challenge. In industries such as manufacturing where about 35 percent of the existing workforce is about to retire in the next few years, the companies are facing the challenge of a widening knowledge gap. Bridging the digital divide is now the HR professional’s responsibility when it comes to a workplace where digital natives and baby boomers interact at an equal level in an organization. The HR professional then takes on the role of a facilitator so that there is knowledge transfer from the older generation to the younger employees and there is a transfer of technical and digital know-how from millennials to the baby boomers. According to a Gallup survey, 68 to 87 percent of employees across organizations in 142 countries are either “disengaged or actively disengaged.” Employee engagement has gotten that much more difficult with multiple devices and channels competing for employees’ attention. People are expecting different things from their workplaces in the 21st century as compared to a few decades ago. As employees themselves are using consumer technology in their daily lives, their expectations when it comes to digitization in the workplace also changes. Most millennials and digital natives are looking for a digital work environment wherein there is more flexibility, a chance to build their own talent and a clear path towards growth. Digitization of work is the application of advanced technologies in order to improve productivity, drive innovation and use technology as a way to keep employees engaged. Using technology in the right way is crucial in order to enhance productivity in an organization. 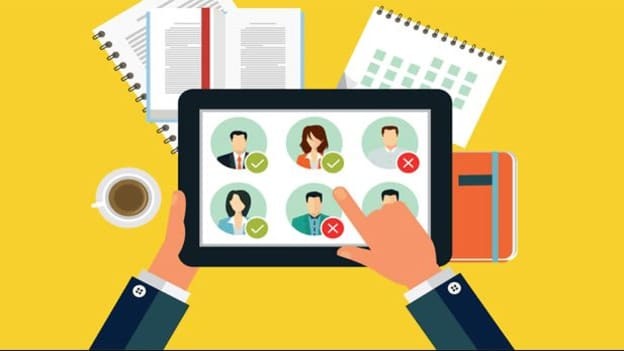 Choosing the right HR tech software to boost collaboration among employees can go a long way in not only enhancing productivity but also contribute to employee engagement. If employees can feel that they are being productive and that the work they do matters, they are more likely to be highly engaged. As the workforce becomes digitized, so does the HR function. The focus shifts from cost-cutting to ensuring efficiency in the administration. Identifying the global and internal talent within the organization and ensuring that they are effectively employed is the responsibility of a revamped HR function. Conducting strategic structural transformation is the prerogative of the modern HR professional as opposed to the traditional HR function which included recruiting, onboarding, evaluating and firing employees. At the TechHR Singapore Conference, Rudy Karsan, a technology entrepreneur and investor, will help the audience understand the new contours of work and how HR professionals can navigate those and on building new perspectives on how interactions between people and work are changing rapidly and what are the implications for HR. Moreover, it is crucial for the HR function to take a peek into the future of labor markets and what how they can shape the profession and the company workforce accordingly. The possibilities of gaining accurate insights into the quality and potential of talent is seemingly limitless with the advent of data analytics. To know more about how digitization of the workforce is redefining the HR function, join us for a chat with HR leaders from across the globe at TechHR Singapore on 28th February, 2019 at Marina Bay Sands, Singapore. Register now!